Babies will be babies whether they are human or animals. 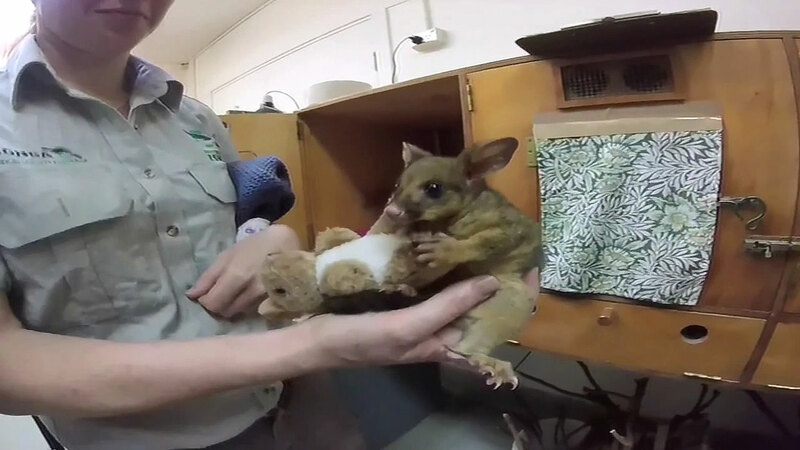 A young orphaned possum just can't seem to let go of a stuffed toy kangaroo, which was given to her after being found alone in Sydney, Australia. The possum cuddles it the same way she would her mom. Officials said the brushtail possum will eventually be released back into the wild, but for now it looks like she's in good company.